already demands considerably more attention than the CoolDay line. requires such maintenance every 600 liters. on the use of cost drivers. 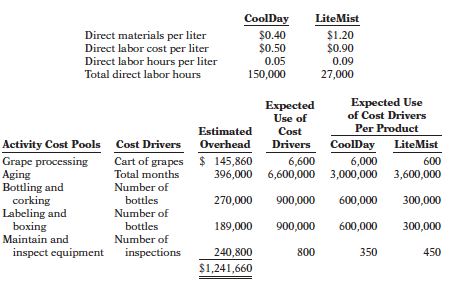 Include a computation of overhead cost per liter. (d) Compute the total manufacturing cost per liter for both products under ABC.